Art and Technology? Yes!!! 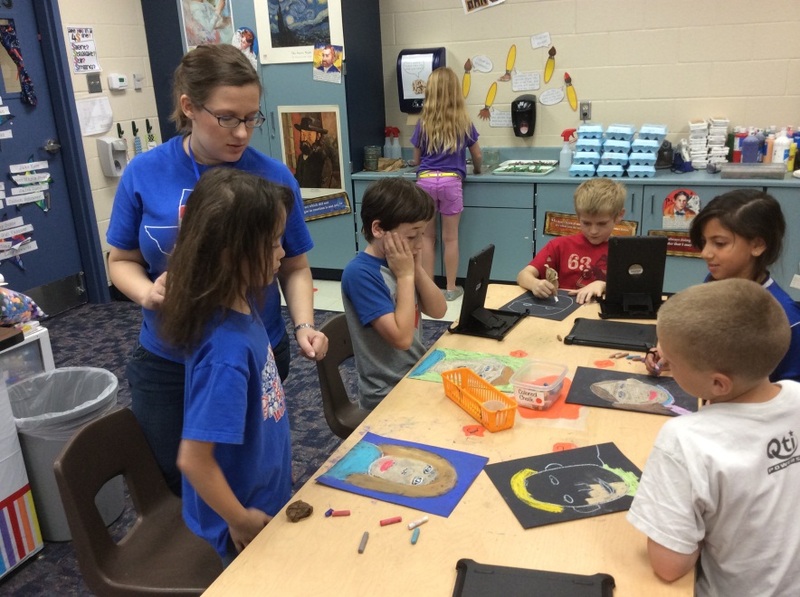 Elementary Art teacher, Bethany Simmons, loves incorporating iPads into her art curriculum. 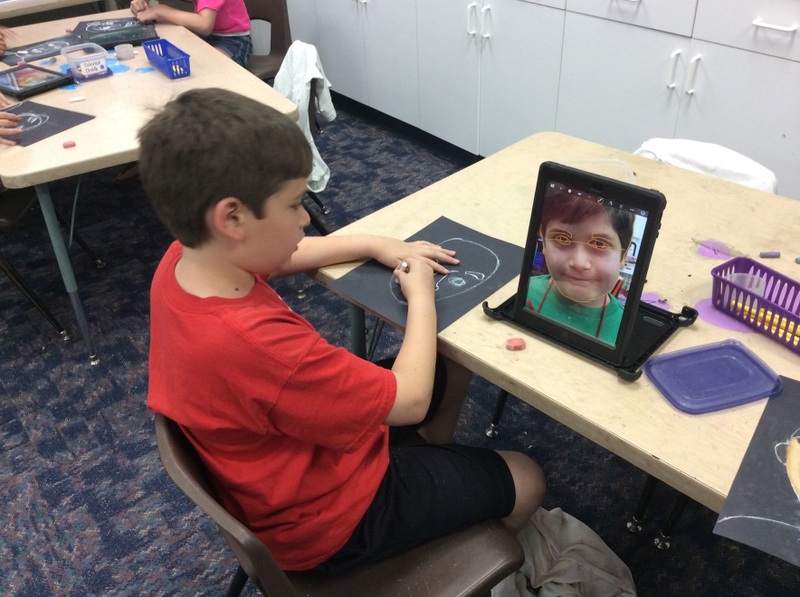 In a recent third grade art project, students created self-portraits using iPads, construction paper and colored chalk. First students used their iPad to take a “selfie” (picture of themselves). 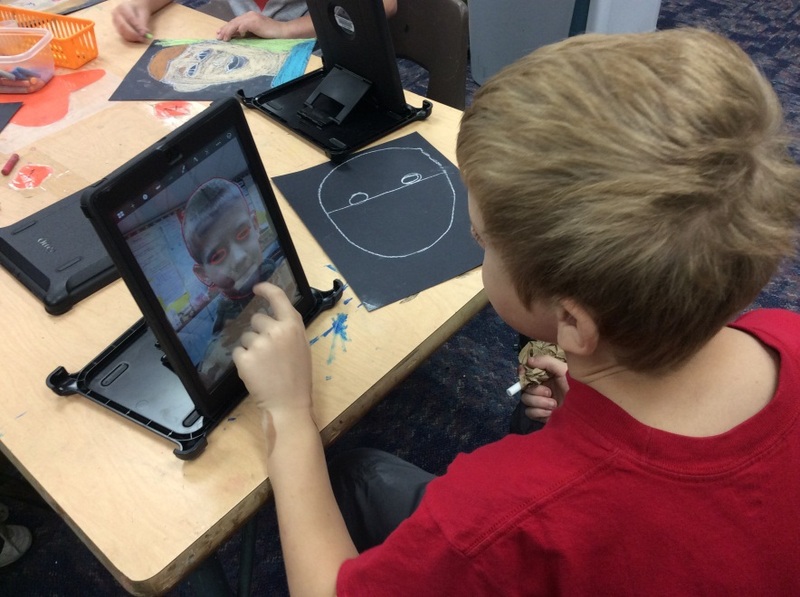 Next, they used the Sketchbook Express app to outline their facial features on the “selfie”. Using the Sketchbook Express graphic as a reference, the students then drew chalk portraits of themselves on paper. When each self-portrait was complete, each student used their iPad and the Educreations app to create an artist’s statement explaining their choices and what they learned through their self-portrait drawings. 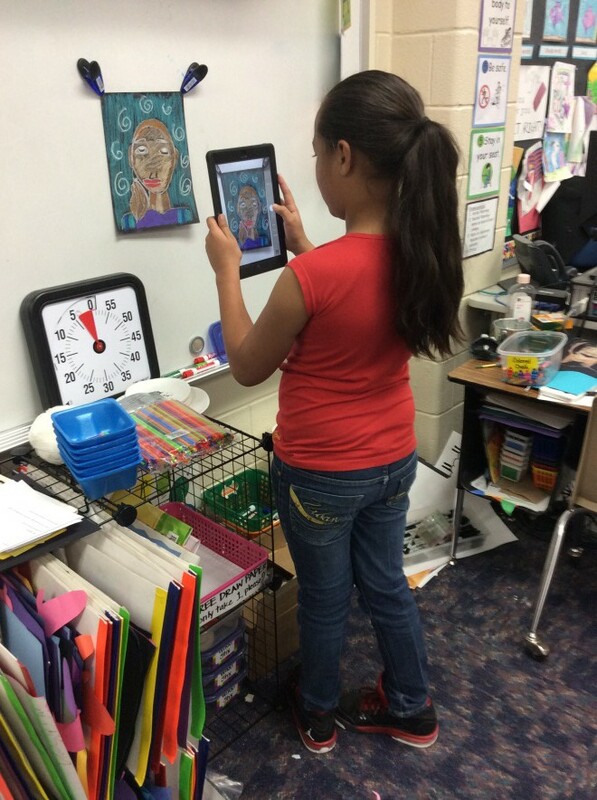 A QR code was then created for each portrait which linked to the students’ Educreations artist statement (audio and video). These self-portraits, along with the matching QR codes, were hung in the “Gallery of Art”. Once the gallery was ready, other classes and grade levels, who had studied self-portraits in art, participated in a gallery tour. During the tour, students could use their iPads to hear about each work. Clever teacher !!! ‘Bet the kids love her!